Sign up to the Global Careers Fair below for free, where you can speak with recruiters from EUROPOL online about these job opportunities that are on offer, on the 6 October 2016. Europol is the European Union’s law enforcement agency whose main goal is to help achieve a safer Europe for the benefit of all EU citizens. Europol do this by assisting the European Union’s Member States in their fight against serious international crime and terrorism. 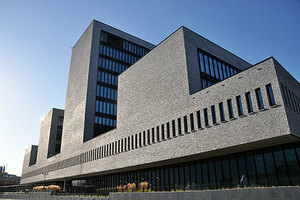 More than 900 staff at Europol headquarters in The Hague, the Netherlands, work closely with law enforcement agencies in the 28 EU Member States and in other non-EU partner states such as Australia, Canada, the USA and Norway.